This is a call to you, from me. But what, in [your] language, am I? And where, among all possible distances and intimacies, are you? 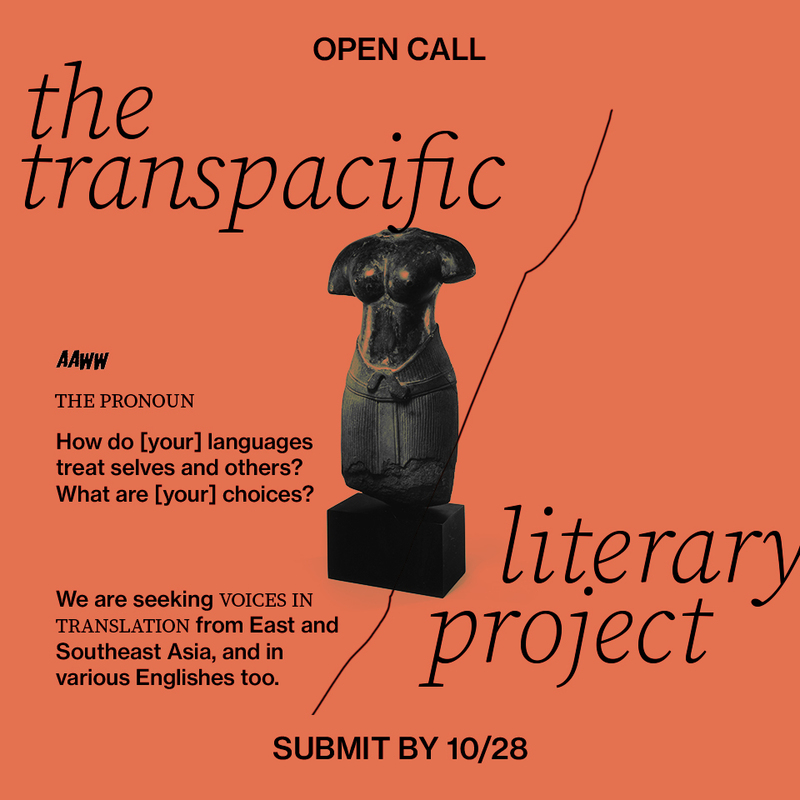 The Transpacific Literary Project opens a new submission period for literary work from writers in East and Southeast Asia to engage with “the pronoun” for future publication in The Margins. We welcome writing from Asian languages in translation, as well as writing in English. In English, the pronouns of “you & i that rather tidy pair” can appear as uncharted waters that bear no markings of gender, of familial position, of age, of social status. In many Asian languages, the pair isn’t as tidy. The “mess of clandestine arrangements affixed to the personal pronouns of Vietnamese” can be excessively nuanced. Tôi & bạn, tôi & người, anh & em, tớ & cậu, tao & mày, mình & họ, con & mẹ, cháu & bà leave less room for doubt about where one stands (and can move) in relation to another. Yet while English meets a fixed wall of gender at most every turn in its third-person pronouns, Bahasa Indonesia can be gender-unbothered about whether dia is a he or a she. Or in Korean, a high context language where an implied pronoun can be dropped from a sentence, the silent who becomes more vulnerable to inscription in translation. If we recognize the self as formed by its encounters, and if a language is what shapes those encounters, then who or what are the words holding us to? And how can those words bear the most justice to an encounter? In opening a transpacific call for “the pronoun”, I/we/they/tôi/ta/họ/dia/我/它们/kita/kami/mereka/俺/佢/佢地/ako/siya/sila/娘娘/咱们/za2men/我/limpeh/ฉัน/คุณ/มัน/நான்/நீ/நாம்/nāṅgal/म/हामी/उनीहरु/उ/私/あなた/皆/someone invites interrogations of the languages that situate and fix personal relationships, the languages that place them far away from us, the languages that prescribe a gender, that assume a collective commonality when there isn’t, that demarcate where a he/she becomes an it, that make a relational GPS, that make political identities, that establish a set of choices for a self being together with another self. How do [your] languages treat selves and others? What are [your] choices? Please send poetry, fiction, creative nonfiction, critical essays, hybrid genre work, graphic (non)fiction, and conversations that touch these questions with more. To sketch some ideas of projects, we imagine that submissions might activate questions about how languages calibrate the power relations between different selves and how tiny words can fruit greater justice. Possible works might: embody a specific pronoun; transcribe a dialogue between pronouns; chart the linguistic relationality between one subject and another; or explore issues of power, positionality, and gender with regards to how one person relates to another through language and its constantly shifting references and substitutions. Submissions should be titled “Pronoun_Lastname_Firstname”. If your submission is a translation, please include the work in its original language as well as a biographical note about the author in your cover letter. When uploading the file, please include the original language version of all works in translation. AAWW will hold exclusive print and online rights to your piece for 90 days, and your story will be archived online. All other rights remain with the writer and translator. All contributors of original work (including translators) will be paid. We are also happy to look at ARCs of forthcoming books with a view to publishing extracts. Simultaneous submissions are welcome, but we ask that you withdraw the piece promptly if it is accepted somewhere else. 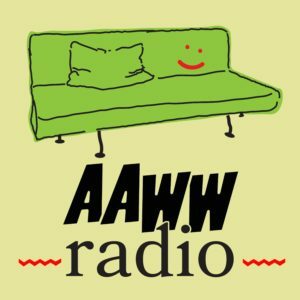 If you need more information, please get in touch with editor Kaitlin Rees at krees@aaww.org. *One of the aims of The Transpacific Literary Project will be to interrogate the idea of the Transpacific, and where exactly the region might lie. As such, the following list of countries should be regarded as indicative and non-exclusive; broadly, East and South-east Asia consists of: Brunei, Burma, Cambodia, China, East Timor, Guam, Hong Kong, Indonesia, Japan, Laos, Macau, Malaysia, Mongolia, North Korea, Philippines, Singapore, South Korea, Taiwan, Thailand, Vietnam and their diasporas. Transpacific Literary Project The Transpacific Literary Project is an ambitious online editorial initiative of the Asian American Writers’ Workshop (AAWW) that is poised to foster literary connections between East and Southeast Asia, the Pacific Islands, the Asian diaspora, and a broader American reading public. 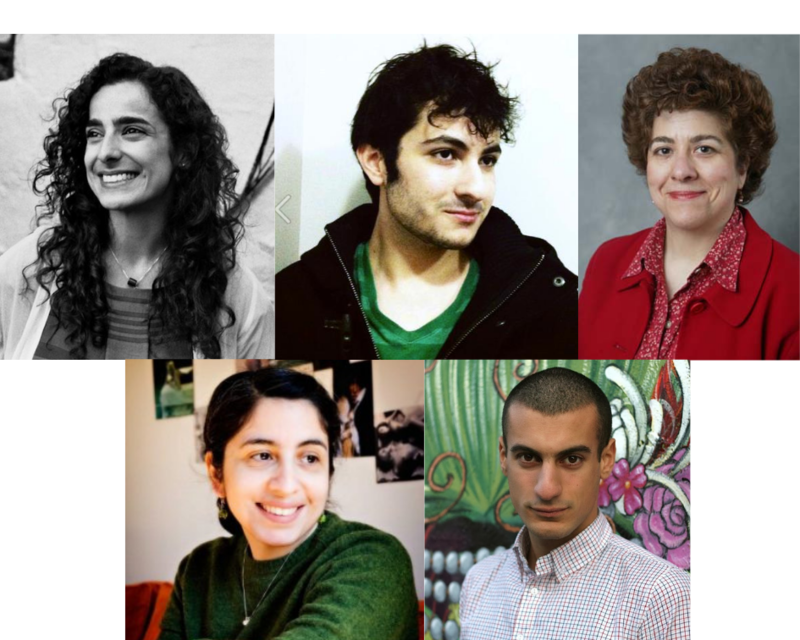 The project has taken the shape of a series of portfolios published on AAWW’s online magazine The Margins. 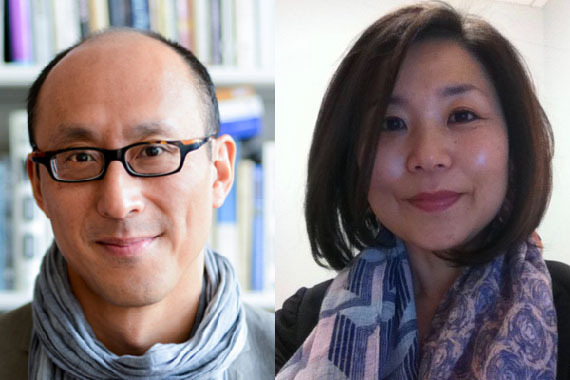 These portfolios comprise poetry and prose written by East and Southeast Asian writers, with an emphasis on works in translation, curated around broad themes, and seek to traverse geographic and other boundaries.